Firmly rooted in 17th century Spanish rapier fencing (La Verdadera Destreza), this system of small-sword includes features of the French and Italian schools. All of this is systematized into a doctrine that is predominantly Spanish applied to what is in essence a smaller, shorter and lighter rapier. 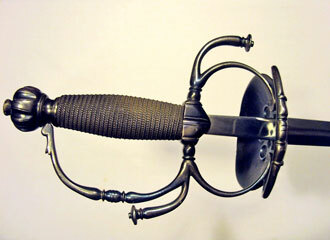 One unique aspect of this system is that unlike French small-sword it includes all of the cutting technique of the earlier 17th century rapier. The system of Spanish small-sword (espadin) taught is based on the mixed doctrine of Don Manuel Antonio De Brea (1805).